What does one do when one has no creative energy left? The last few weeks we've had assorted issues with family illness, and bits of care taking and following up to make sure things are "alright"... because one just does those things for those one loves. However it has left me tired and having trouble catching back up with myself. I have all these ideas - things I want to create, and just can't make it happen. There is no energy left for creating, and I feel it's loss. Another nights sleep; another day of catching back up and perhaps I'll get there. 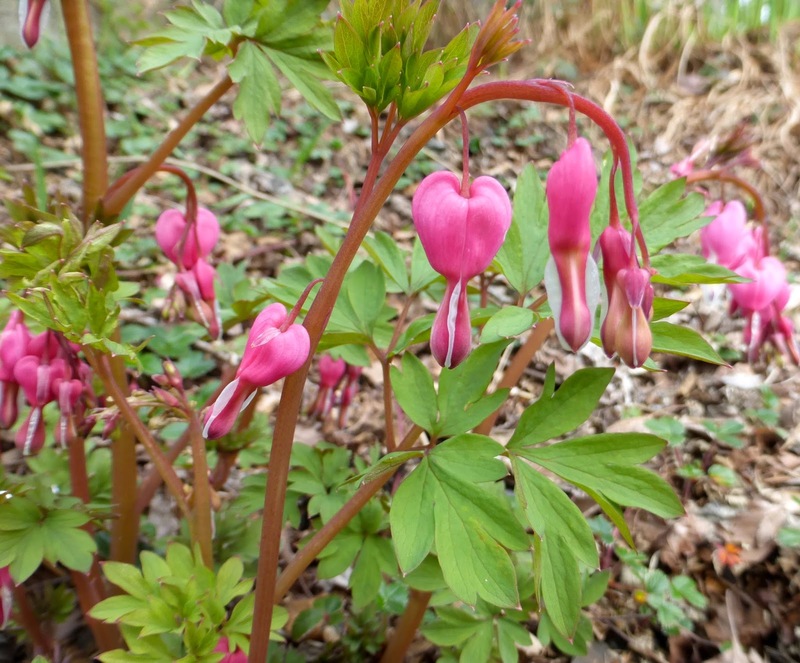 ...and the lovely bleeding hearts, one of my springtime favorites. There must be something in the air...because the same is happening to me!! Sorry hope you catch up soon and feel the creative mojo return!! Lovely so far and pretty photos too!! It's lovely and your garden pics are lovely as well... I watch inspiration on Pinterest or You Tube when my muse is absent. gorgeous sunflower! I've had similar happening when I had too many other obligations to tend. When I feel like that, and tired I tend to do what Valerie does. I too have been going back and forth out of town to help my Mom out. Shopping, etc. Your sunflower looks great Helen. 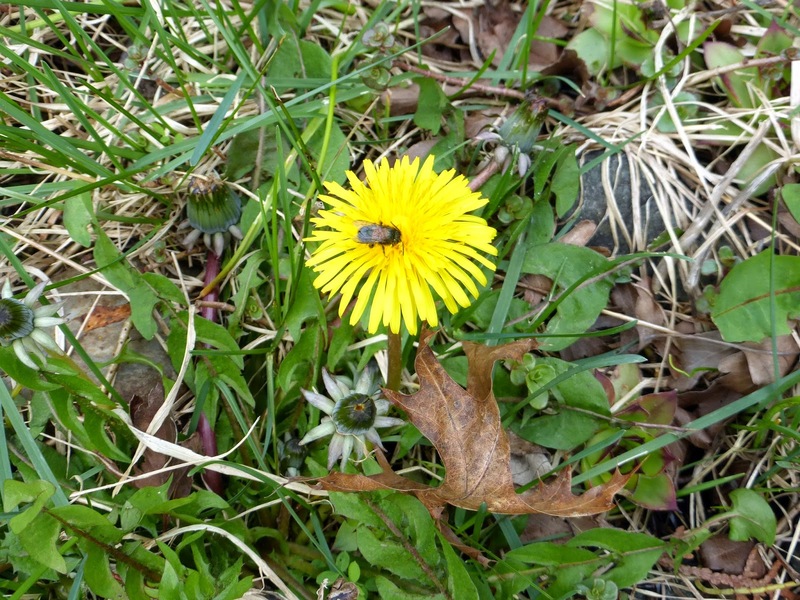 Happy Spring to you, hope you are doing good. Take care. My brain (right and left) shuts down when I am stressed and/or tired (why do they always seem to go together?) 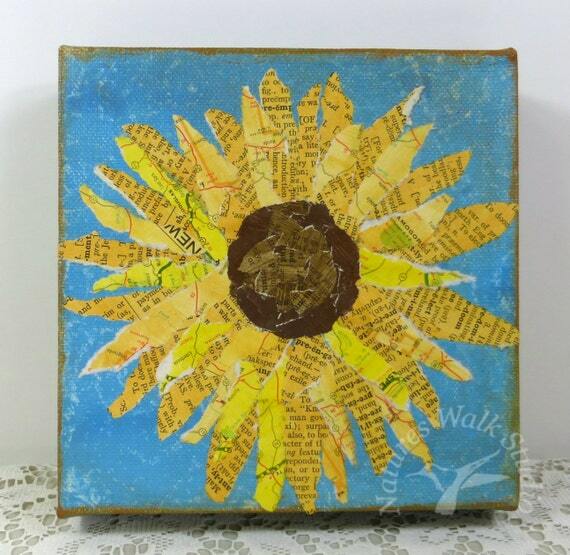 Collage is one of my favorite things to do and I just love your sunflower. Your energy will return. Start with simple projects, doodling, sketching and writing -- things that just take a pen and paper. You'll get back into it when the time is right. Missing it is a good sign. Beautiful sunflower.